Jim Greenman dedicated more than thirty years to the early childhood field as an educator, early childhood administrator, and author. Throughout his career, he worked with employer-sponsored, inner city, hospital, and university programs; early childhood and family education programs; Head Start; family child care; and public and private schools. 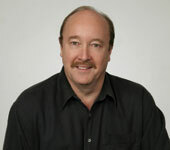 Jim played a significant role in the facility and program design process for more than 100 early childhood projects, taught at the Institute on Child Care Design at the Harvard Graduate School of Design, and was senior vice president for education and program development at Bright Horizons Family Solutions. He held a master’s degree from the University of California at Berkley, where he also completed additional advanced graduate courses. Jim passed away in 2009 after a courageous battle with cancer. He inspired many people in the early childhood field through his dedication and work in the early childhood field; Jim’s legacy leaves an ever-lasting gift to children and educators. Achieve quality care and education in your infant or toddler program with this practical guide—a sourcebook for establishing, organizing, and maintaining a quality program. 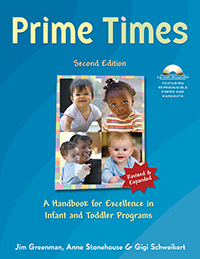 This second edition includes topics such as developmental issues; infants and toddlers with special needs; staffing and staff training; creating learning and nurturing environments; establishing routines; discipline; health, nutrition, and safety policies; curriculum; partnering with parents; assessment; and program evaluation. Charts, tables, and illustrations enhance the text, and a CD-ROM offers reproducible forms, policy statements, and training handouts.